Last Friday, January 18, 2019, a deceptively-edited video posted to social media ignited a media-driven public lynching of a group of teenage boys from the all-male Covington Catholic High School in Park Hills, Kentucky. That day, the boys, wearing red Make America Great Again (MAGA) hats and sweatshirts, participated in the March for Life in Washington, DC. The video shows the boys surrounding, laughing and jeering at an elderly Native American man singing and playing a drum, who is identified as Nathan Phillips, an Omaha elder and Vietnam veteran. The Covington boys were roundly denounced by media outlets and their hometown mayor. The Covington Catholic School, Diocese and Archdiocese issued abject apologies and condemnation of the students. It turns out the full video of the incident shows an entirely different version of what happened. One of the Covington students told the Gateway Pundit that they were waiting for their school bus and doing school cheers when four Black Israelites got belligerent with them: “We were standing there when a group of four African Americans started calling us ‘crackers’ and ‘school shooters'” and told one of the Covington students, who is black, that “we will harvest his organs” when he gets older. Although the full video of the incident was posted to Facebook on January 18, the truth didn’t stop Jack Morrissey, a Hollywood producer of Disney’s Beauty and the Beast and two Twilight Saga movies that romanticize blood-sucking soul-less vampires, from calling for the murder of the Covington boys. 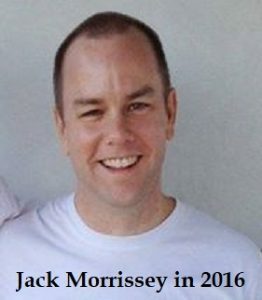 It is not just Jack Morrissey who’s calling for violence against these innocent Covington boys. This entry was posted in Children, Conservatives, Donald Trump, Evil, fake hate crime, fake news, Hollywood liberals, Liberals/Democrats/Left, Make America Great Again, Media, MSM, Pro-Life, Race, race war, Racism, social media, United States, US Presidents, War on White People and tagged Ben Hoffman, Black Israelites, Covington Catholic High School, Jack Morrissey, Marcus Frejo, Nathan Phillips, Prosecutor Rob Sanders. Bookmark the permalink. We have really changed as a nation. We have to make way for a new generation so along comes indecency, violence, disrespectful, non-believers, drug addicts, homeless, corrupt politicians, what’s left is all but a handful of decent, freedom loving citizens, respectful and law abiding people. And so we see a new nation in the making. Isn’t threatening to murder someone against the law… Double standard rules the day…. I think we should give the country back to the Indians starting with hellyweird & Martha’s Vineyard. Something tells me that a little research and investigation on this clown will unveil a plethora of misdeeds. The profession he is in and the movies he has made almost guarantee that he is involved in some serious stuff. Pedophilia is likely one, which is why he didn’t want people checking his Twitter posts. The depravity of unsaved man has always degenerated to lust, murder, child abuse, etc. regardless of ethnicity or nation of their origin. The native Americans were no better than most of the invading Euopeans . Difference now is through revisionary political correctness history are they now glorified as the noble red man. The Aztecs were among the most advanced of the indigenous peoples. They had cities, large scale agriculture, a calendar ect. Recently an archeological sight was discovered called the tower of skulls many of the skulls were of children. The Aztecs believed in sacrificing children to the gods . Many indigenous peoples practiced cannabalism. What part of indigenous culture does CNN & Nathan Phillips want to bring back cannabalism or human sacrifice. I gave a good place to start let’s have Nathan Phillips eat Chris Coumo on live TV. If Morrissey’s objective is to produce a snuff movie, by his recommendation he should be put in the woodchipper so that he can have himself filmed. If any of those boys are harmed because of Morrissey’s suggestion, he must be severely punished (no trial). Hey Morrisey if i ever come across you in my lifetime i will beat you to death or maybe send you to the butcher shop, you’re a big guy threatening children who did nothing wrong. it was the radicalized lunatic indian screwball eating wild mushrooms that needs to be sent to the grinding machine. watch what you hope for because it will come back to get you. you have no knowledge of butcher shop type murders, so be careful. If that was my kid in school and you threatened him your fagot queer behind would be gone. You say harassing “Whitey” and then you include yourself as a “whitey” by using “we”? So you think of yourself, your friends, and family as “Whitey”? I don’t think so. In fact it’s almost certain you hate white Christians. You’re so obviously a troll trying to poison the well that it’d be funny if you weren’t so evil. Too bad for you you’re not even half as smart and clever as you think you are. About a year ago, I promised Doc E. I would no-longer edit or delete comments, no matter how vile. This one is way, WAY over the line, and has no place here. Perhaps if I chew through enough 50D nails, I might actually leave this one alone. 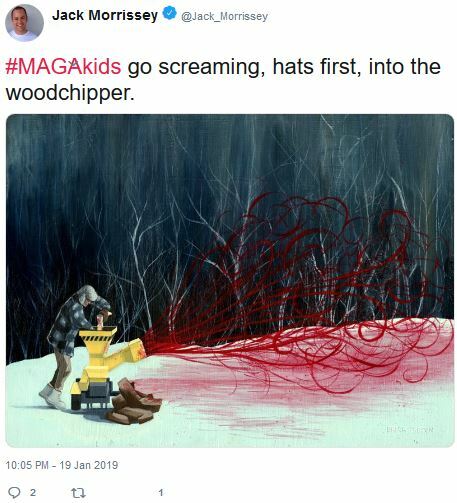 That soy boy genetic misfire couldn’t put a piece of foam into a woodchipper. Yeh the Indians, I mean Native Americans, didn’t have concrete or steel walls (they didn’t have the technology…) but woe to you if you were caught trespassing in another tribe’s territory. The punishment varied from tribe to tribe. Out in the west, the Apaches would skin you alive and stake you ontop a red ant hill – after stitching your eyelids open and facing you directly into the sun. I wonder if Mr. Philips OKs that treatment for all the Mexican trespassers? We need to have a “wear your MAGA hat” week where President Trump supporters would wear their red MAGA hats everywhere they go for a week. If the looney leftists can have their protests and demonstrations then Trump supporters can too. Lets see if the crybaby libs will try to attack a bunch of MAGA supporters. Fill the streets with MAGA hats. Spread the idea around. Yet another Disney person going wrong! Reading through this account below, I have the distinct impression that this event was very likely set-up, and was planned from at least (((one side))) on the left side of the aisle, and likely was managed with the assistance from some parties in the “intelligence” community, which we have too often seen in the past, have “dual-loyalties”. A very good article below. Highly recommended. The (((media))) will try to move past this as fast as they can. the demonrat Marxist Bolsheviks are trying to destroy the Catholics because they know very shortly Trump is going to pick another SCOTUS for the court who is going to be a catholic conservative women and they are going nuts right now. Ginsburg the old murdering hag is on her last breath of air and satan is waiting for her to descend into hades where she will be until judgement day. this old witch has much blood on her and perversions. It will be a happy day for teh court when another one is gone.